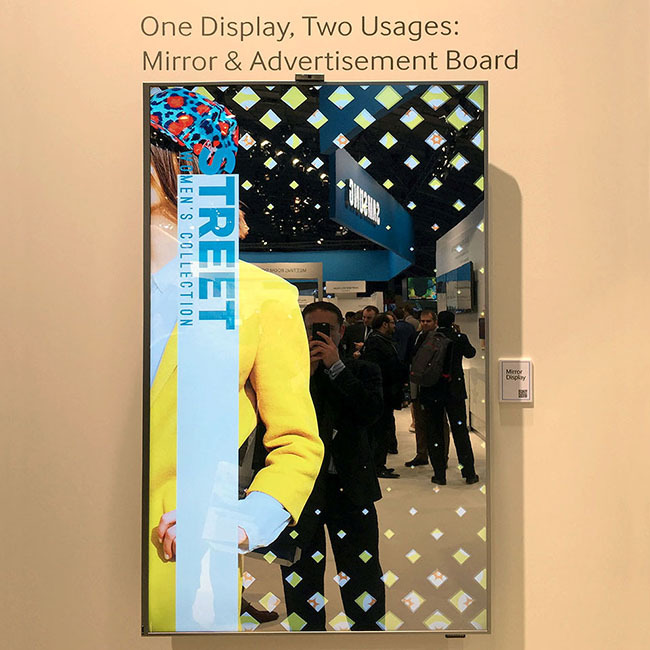 Digital Mirror displays deliver relevant promotional content while additionally serving as a standard reflection mirror. Great for retail signage and selfie opportunities. 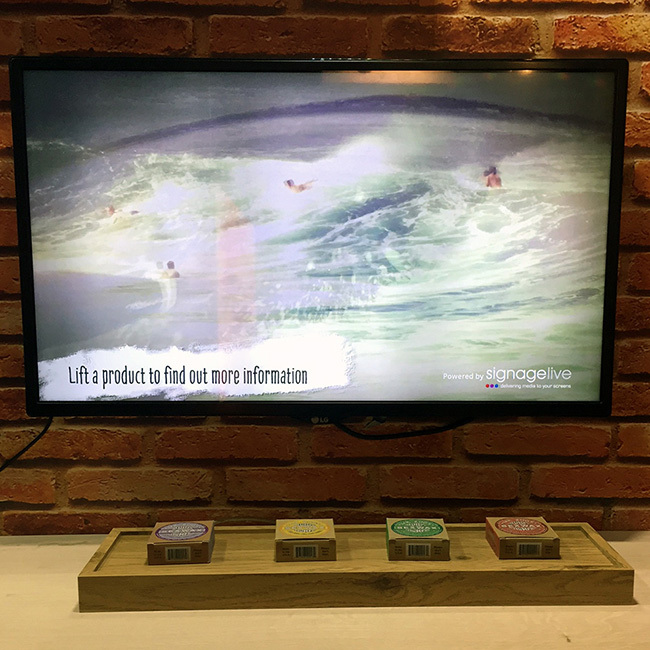 The Holocube is a 3d holographic projection platform – seemingly straight out of science fiction movies and now available to showcase your products and marketing in an extremely high tech, futuristic and attention-getting manner. 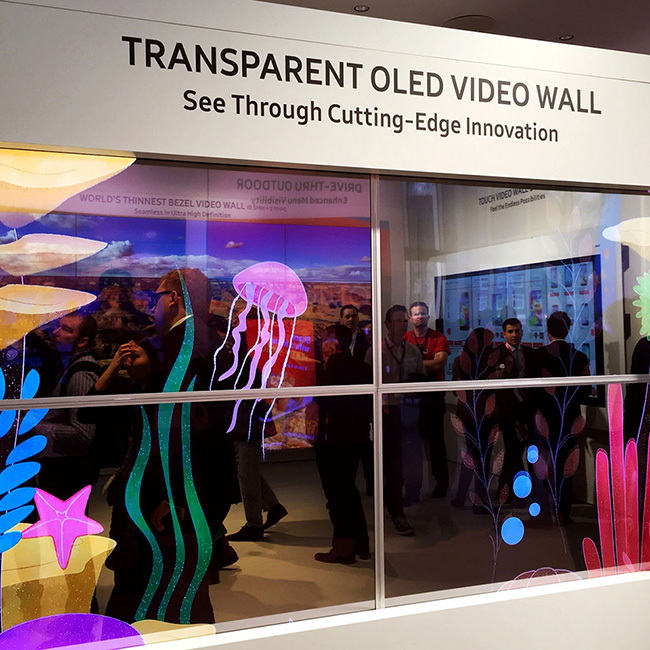 A transparent display delivers content on a screen you can see through. Brilliant for bright, open spaces that don’t necessarily need a traditional display blocking out light and disrupting your eyeline from one side of the room to the other. 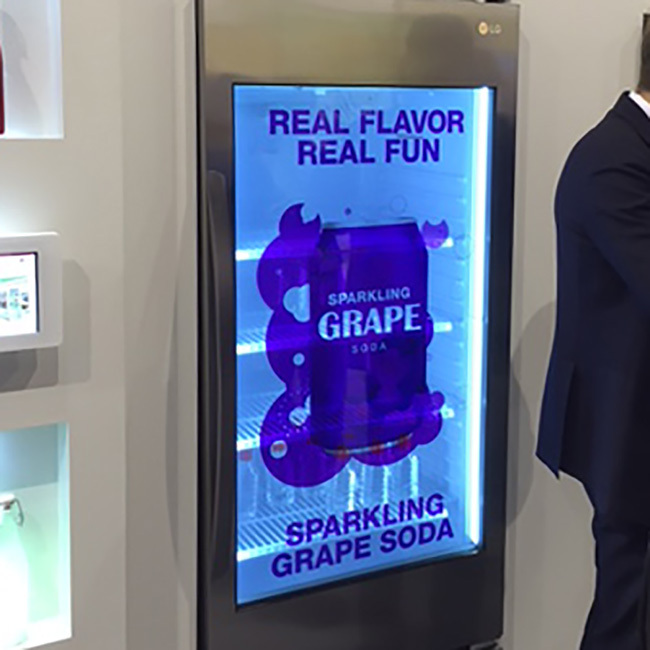 A refrigerator with at 49” HD transparent display integrated into the door. 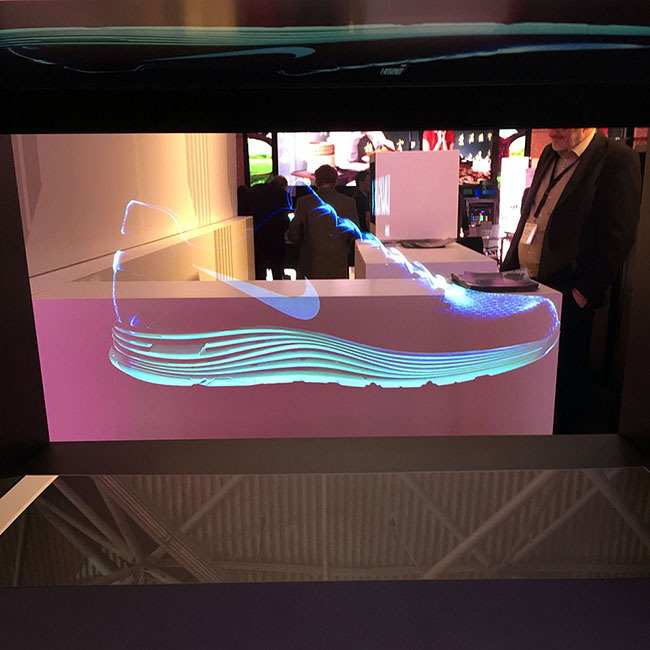 The screen can be put into transparent mode, where products inside can be seen in conjunction with digital content, or alternatively, digital content can be shown if full, vivid, opaque colour where necessary. Imagine an array of items placed in front of a screen. When any item is picked up, perhaps by a potential customer, the screen displays information about that product, along with any other content or marketing information you deem necessary. Pick up a different product, different content appears on the screen.